Metaphorically speaking, boiling a frog is like the increasing Electricity rates all end consumers face. The various regulatory bodies being the administrators of slowly turning up the heat on retail users of Electricity – the moral of the metaphor being that users should make themselves aware of gradual change in energy rates lest they suffer eventual undesirable consequences. So the logical question to ask is why are my rates continually increasing and what are the factors affecting the increases? To answer these two very important questions we first have to understand a little historical perspective of power. In Ontario, as it is in the rest of North America and much of the developed world, our Electricity grids are aged, have no intelligence and above all are not very flexible. The world’s population has increased to over 7 billion inhabitants and continues to grow. So there is a greater strain on existing infrastructure and dwindling energy resources which has created the urgency to explore alternative sources of energy – in particular renewable sources. But integrating these new sources of energy comes at a very steep cost to the end consumer. In Ontario, the scope of work includes refurbishing nuclear generators, closing coal fired Electricity plants and building out a more intelligent and flexible grid for the production, supply and bi-directional distribution of power. All of these things require a very high capital cost which are being recovered and will continue to be recovered by increasing the rate of Electricity retail users pay. With the preceding as the backdrop it should now begin to make more sense why power rates are increasing at levels much higher than the consumer price index and the associated inflation rate (as of Oct 2012 the Canadian inflation rate was 1.2%) In spite of that the Electricity rates increased by nearly 5% for Ontario’s retail users in 2012. It is also worth noting that we are still in a relatively stagnant world economy with nominal increases in Gross Domestic Production. What impact will a growing economy have on Electricity rates for retail consumers here in Ontario? Our electricity rates continue to rise in spite of this. This fact has been reported in the media at length. The 5 year historical trend confirms what was projected and reported since 2008 – we have seen a more than 40% increase in rates. In 2010, new reports indicated that users can expect to see an additional 46% increase in electricity rates between 2010-2015. An independent think tank reported the numbers will be much higher than what the government has projected. We have already seen a 27% increase from 2010 – 2012. Where do you think prices are going? It’s clear that even the government can’t truly gauge what the short, mid, and long term impact on Electricity rates will be given the direction we are taking. Their initial projections for the short term increases were – well to put it mildly way off. How much confidence can we put in their statement? Exactly what do they mean by leveling off? It should be clear by now that apartment building owners need to explore their options to better manage, control and predict their future Electricity consumption and thus cost. The control aspect looms very large as all Ontarians will be moved to TOU billing by 2014 and the inability to control when your tenants use Electricity will have an unpredictable impact on your electricity bills. This inability to control tenant Electricity usage also adds a layer of complexity for managing your buildings energy consumption that will ultimately be reflected in a greater inability to manage your buildings energy budget. However, all these challenges can be resolved with Summit Energy as your trusted advisor and supplier. 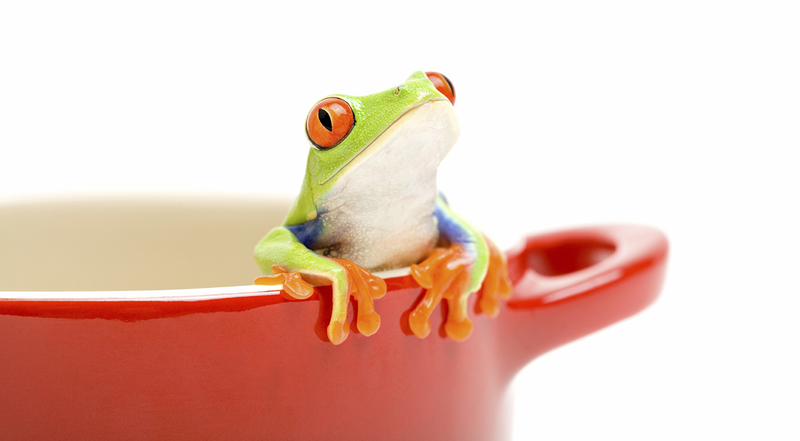 With Summit’s Electricity Price Protection Program offering you won’t end up like the slow boiling frog – Metaphorically speaking of course. The only difference is that you are now more aware of the things impacting the “not so gradual and constant increases” in Electricity rates. So taking action to prevent suffering of those eventual and undesirable consequences is not metaphorically speaking – it will be your reality. Take this statement seriously and take action to protect your buildings against the inevitability of rising electricity prices.